Howard County’s Rov­ing Radish program pro­motes healthy eat­ing, sup­ports local farms, and pro­vides job train­ing. 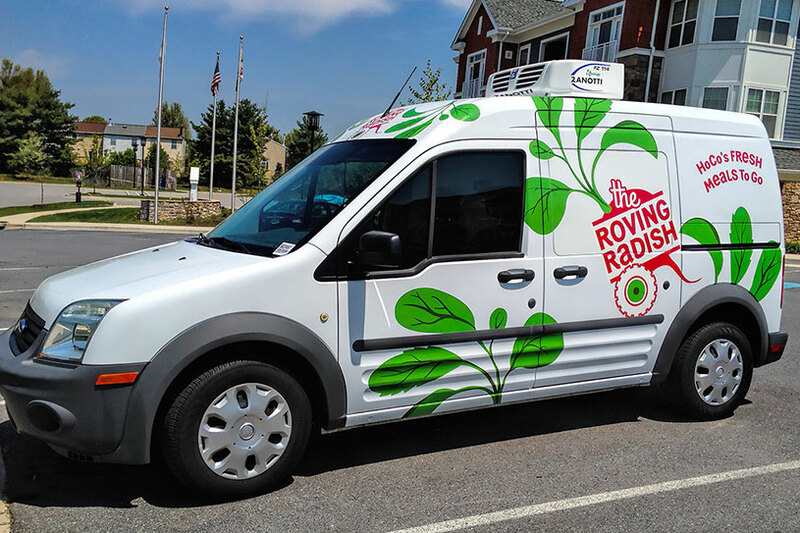 A public-private part­ner­ship, Rov­ing Radish buys pro­duce and pro­tein from local farms and uses those ingre­di­ents to cre­ate meal kits. County staff and vol­un­teers wash and pre­pare items to cre­ate kits that fol­low healthy recipes. Rov­ing Radish works with farm­ers to use sea­sonal ingre­di­ents and meal kits are avail­able from May to Novem­ber. Meal kits are avail­able for pur­chase to any­one who works, plays or lives in Howard County and are offered at a dis­counted price to those in need. Each week’s kit con­tains ingre­di­ents and instruc­tions to cook two dif­fer­ent meals. Each one is designed to feed a fam­ily of four. In 2017, Roving Radish added a veg­e­tar­ian meal kit option. Orders are taken on-line and meal kits are picked up at one of sev­eral locations. To learn more, find the pickup loca­tion clos­est to you, and order, visit RovingRadish.com. To volunteer (May-November), please visit hocovolunteer.org.